VI CREATION AND CREATOR:WHERE DID GOD CREATE AND WITH WHAT? This desire to transcend human limitations and to become gods is not foreign to the Christian tradition. Christian theologians have long discussed “theosis” (literally, “becoming a god”) as a final stage of salvation, when human beings have real union with God. The idea is virtually unknown among Protestants; but the goal of salvation described in terms of “theosis” or “deification” is at the heart of Eastern Orthodox theology, as inherited by Byzantine and Greek patristic theologians. We might say that theosis is to the Orthodox as justification is to the Protestant. If Abrahamic religions asserted the monotheistic concept of God, when the incarnation of the Son of God occured in Jesus, the problem of reconciling the monotheism against the One God in Three Person became an issue. There had been an ongoing name calling and theological struggles until it wa finally resolved in the Nicean and later creeds of the Church. When the protestant reformation took place, they found the use of the term “theosis” (becoming Godlike, deification, partakers with divinity etc.) connected with first, Katharsis or purification; second, Theoria or illumination, leading to third, Union with God or Theosis; disturbing and they replaced this concept with justification and sanctification leaving behind the end point of union. Obviously the idea that God is totally the other in their dimension - man was created into nothing from nothing - fell short of man even becoming God or even like God in any remote sense. Therefore, Christian deification is always metaphorical—believers don’t literally become God (as a member of the Trinity). With this in mind, why even use the language becoming gods if it sounds so heretical? If believers don’t become God, what do they become? Theologians were struggling to describe theosis in terms of essence and energies of God. It is here that I have tried to present a solution in terms of human form with all the living internal organs as one single organism called God. The problem seems to me in the definition of God as homogenous monad. Creation is certainly hetrogeneous, the very concept of Trinity indicates a hetrogenous Godhead - Three persons with varying characteristics within a singe Organism called God. Once I heard our metrapolitan referring to God as a family. Is not the very names Father (male), Ruach (Female) and Son direct us to a family. In order avoid the sexual implication which the mormons took from it early church fathers seems to have avoided it. Presenting this as a relationship—as we reflect the image and likeness of God, as God intended the problem was avoided. We can interpret theosis metaphorically. However Jesus’ teachings “I said, ‘You are gods; you are all sons of the Most High.’”and presenting the church as the bride of the Son whom He will marry and they will be one body etc needs explanation. I have tried to do this in terms of the modern physics terms of multidimensional existence of God and Man. 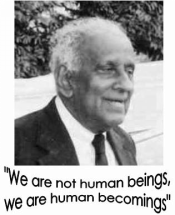 It is in this context that my brother Madathilparampil Mammen Thomas came in with the term salvation as humanization. “Jesus is the new man through whom a new humanity is created after the image of God (col.3:10). He is the true Adam through whom all mankind is continuously reconciled to God (II cor 5:19), and all creation is being perfected (Rom 8: 8-18). Jesus Christ is the source of renewal of human nature and through him all things came. God incarnated Himself in History assures our sinful humanity and through His incarnation, life and death redeemed it of its sin. According to Thomas, the church is “the manifestation of a new reality of the kingdom at work in the world.” In order to refer to the church as the manifestation of the new reality Thomas uses various expressions like, new humanity in Christ, Christ-centered fellowship of faith, Christ-centered secular fellowship, etc. He stresses mainly on three dimension of the church. His theology emphasized the role of the Church in history. We are here as the instrument of God as a member of the wider family of God (sons of God) to serve, die if needed and transform it as the family of God thus bringing the Kingdom of God on earth. Is that not what we pray everyday? Thus man will be brought back to the status of Man as God intended Man to be when he originally created. Bishop Paulose Mar Gregorios one of our close family friend presents deification as humanization: “the very nature of humanity is to be like God, for that is what it means to be created in the image of God. The more humanity becomes like God, the more it becomes itself. Divinization is humanization. 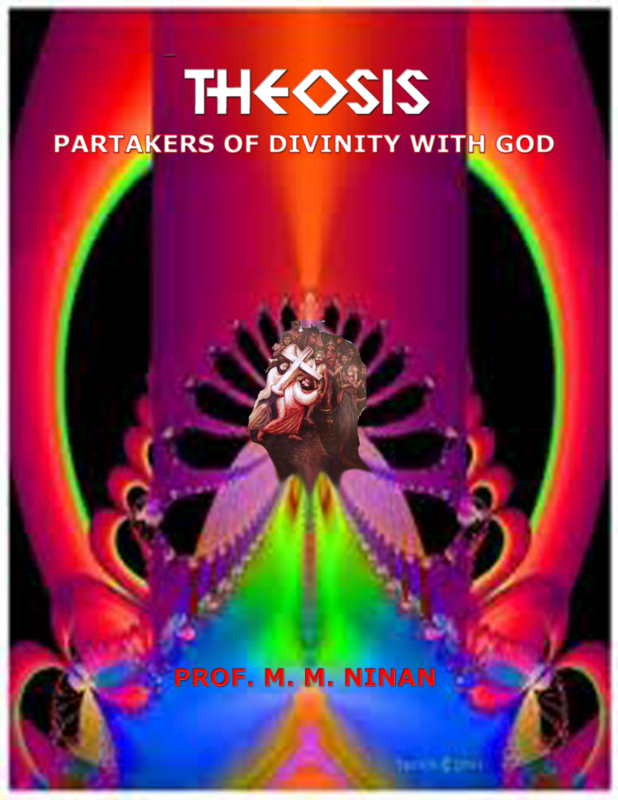 Theosis is anthropesis.”(Cosmic Man, 230). Somewhere somehow my son Neil Mammen picked the heart of the message and his work “Jesus was involved in Politics” presents this.